One of the obvious tips on how to save money on accommodation is by travelling during the shoulder, that time period between the peak and off-peak season. Accommodation costs are considered lower, the weather may still be favorable and in popular destinations, you can avoid the large crowds which make sightseeing relaxing and easier. Moreover, you will also save money on flights and car rental. Book a room in advance with best rate that you can find online, and be keen on the prices to check if you can get a better deal at another property, or even at the same hotel. For example, Booking.com offers free cancellation on most rooms. They have this feature called “book now, pay later” at check-in system, allowing you to lock in that rate with some flexibility. Just check the booking conditions per room type and you’ll have peace of mind when booking through them. Most of the credit cards offer huge bonus points just for signing up or spending a certain amount of money within a set time period. Accumulated points can often be used to purchase hotel room for your vacation or staycation. Before your next trip, call your bank to see what credit cards they recommend to score the highest bonus. Check out consumer review sites like TripAdvisor.com, which gathers and combined reviews of hotels written by travellers. TripAdvisor.com is a good resource because it organizes reviews by the type of stay so that you can search for people most like yourself and see what they had to say about the hotel. Frequently, the reviews will speak to whatever attributes you are looking for in a hotel and you can make better decisions based upon them. Expedia, Kayak, Orbitz, Priceline, and Travelocity are just a few of the places to start your search. Various prices will be shown and you can start comparing and choosing which one has the best deal on the hotel room of your choosing. Ironically, they tend to provide more for less, even in the same chain. Less expensive hotels offer more amenities for free or cheaper compared to high-end hotels. You can keep an eye on hotel chains that have this kind of service. Hotels with vacancies are often willing to negotiate to fill a room. Do not be afraid to ask for a free breakfast, Internet, parking or use of the workout facilities. 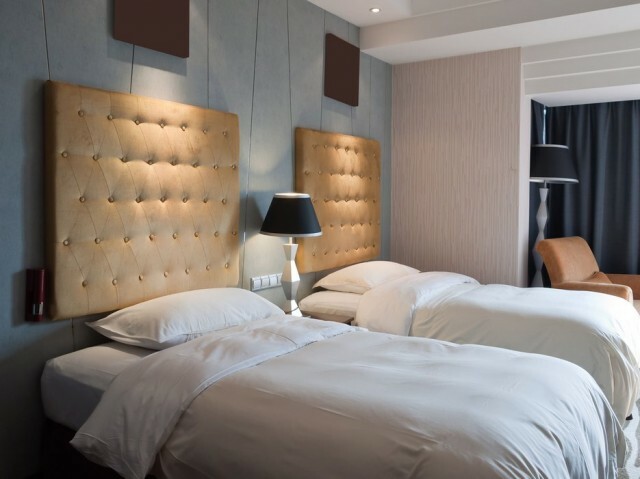 Hotel managers would rather make a little less on an occupied room than leave it empty for a night. Business enthusiast. Cinema lover. Coffee addict. Audiophile.